Visual Studio Code>Themes>Ruie DarkNew to Visual Studio Code? Get it now. All credit goes to the author of my favourite Material Theme for developing this theme. 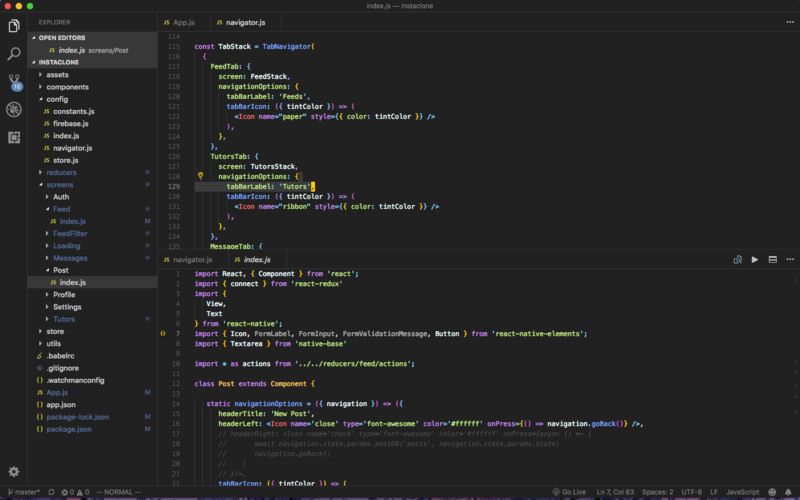 This is just a modification that is utilizing Visual Studio Code theming features. Open Extensions on the sidebar. ⌘ + ⇧ + p and type "Color Theme". Pick Ruie Dark from the list and hit enter.